Visit our website to learn more about our company: <a rel="nofollow" target="_blank" href="http://www.PondGnome.com">http://www.PondGnome.com</a>. We offer Pond Installation & Design Services, Pond Maintenance, and Cleaning Services for the Greater Phoenix Metropolitan area including the cities of Phoenix, Scottsdale, Paradise Valley, Carefree, Cave Creek, Glendale, Peoria, Sun City and other surrounding communities. Other services offered include Disappearing Pondless Waterfalls and Streams, KOI Pond Installation & Maintenance, and fixing ugly ponds! See our work around town: <a rel="nofollow" target="_blank" href="https://goo.gl/maps/6UKHs">https://goo.gl/maps/6UKHs</a> Call us @ (623) 572-5607 Email Us @ PondGnome@cox.net Pintrest: <a rel="nofollow" target="_blank" href="https://www.pinterest.com/pondgnome/">https://www.pinterest.com/pondgnome/</a> Facebook: <a rel="nofollow" target="_blank" href="https://www.facebook.com/ThePondGnome?ref=bookmarks">https://www.facebook.com/ThePondGnome?ref=bookmarks</a> If you do not live in the Greater Phoenix Metropolitan Area visit our Pond Contractor Services Network to find a local certified contractor near you at <a rel="nofollow" target="_blank" href="http://www.pond-contractor.services/find-a-contractorretailer.html">http://www.pond-contractor.services/find-a-contractorretailer.html</a> A living pond or stream makes an enchanting enhancement to your outdoor living area, as demonstrated by the quotes on our Testimonials page, seen in person at various Public Displays, or shown in our Portfolio. We want to fulfill your dreams of how you want to enjoy your yard, whether you do a lot of entertaining or just simply want to come home and decompress after a long techno-filled day/week. During the design phase with your personal consultant, we make every effort to get to know exactly who you are, your goals, your needs, and your vision, so that we can design the perfect custom living water feature just for you. Our experienced crew will then install your feature to those exact specifications. You are now a member of The Pond Gnome family, and will receive the best after-the-sale service given by any pond professional in Arizona. 100% satisfaction is always our objective! Let The Pond Gnome transform your yard into a truly spectacular outdoor environment today! For more information, visit www.PondGnome.com! 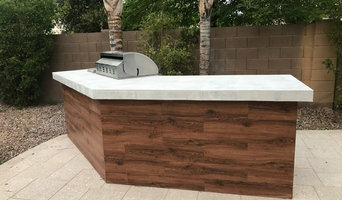 Design/build landscaping organization specializing in unique and functional designs. What does a Fountain Hills landscape contractor do? Landscaping contractors execute lawn, garden and hardscaping plans that have been drawn up by an architect or designer. They may also provide design services on their own. After the everything has been installed, landscape companies can make adjustments, maintain plantings, take care of weeds and pests, and perform other tasks to keep the scheme looking its best. A licensed Arizona landscaper should have detailed knowledge of Fountain Hills, AZ weather and climate trends and conditions, and can choose plants and materials that are well suited to the area. Residential landscape companies in Fountain Hills, AZ also handle many of the same general duties as builders, including arranging for construction permits, hiring subcontractors and making sure that designs comply with Arizona building codes. Find Fountain Hills landscaping services on Houzz. 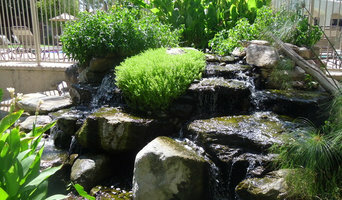 Narrow your search in the Professionals section of the website to Fountain Hills, AZ landscape contractors. You may also look through photos of Arizona landscapes to find one you like, then contact the landscaping company in Fountain Hills, AZ who worked on it.